Fully automatic big bag filling stations are available with a variety of options to meet material needs. 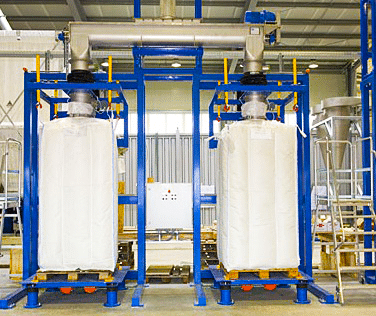 Options include vibration and distribution mechanisms, filling level control, fans for big bag inflation, dust extraction and integrated weighing scales. Bag filling stations are manufactured in our Tamworth metal fabrication workshops from steel and can be powder coated to any choice of colour. 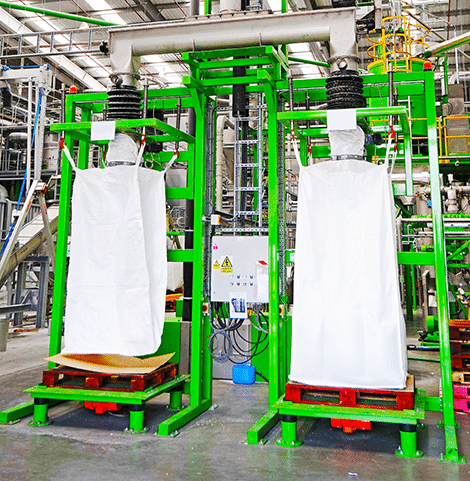 Big bag filling stations are independently load tested and certified. System to load internal or external bins or silos. Capacity from 8 to 40t/h. Can be fed by sacks, bin bags or octobins.